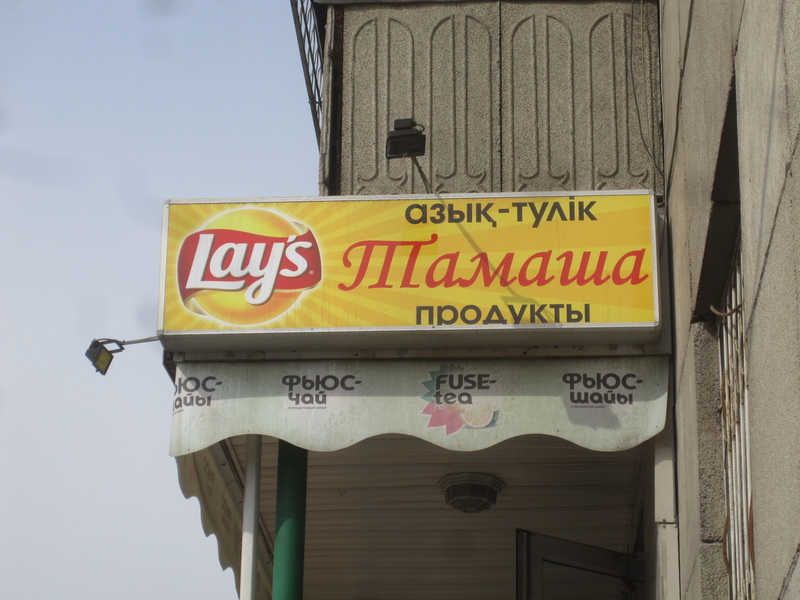 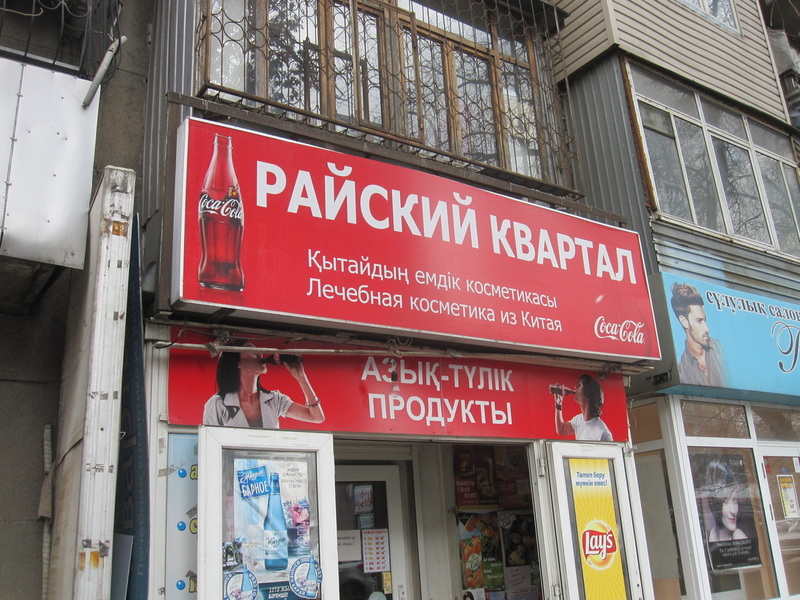 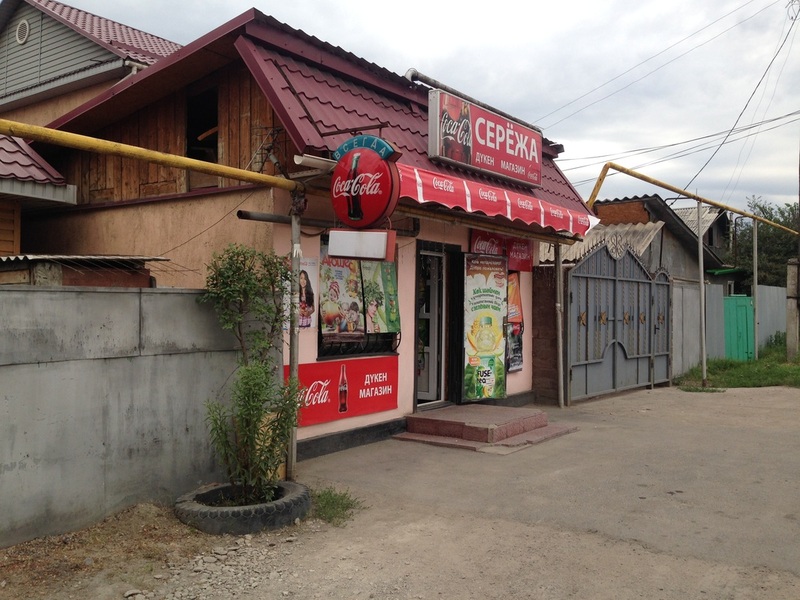 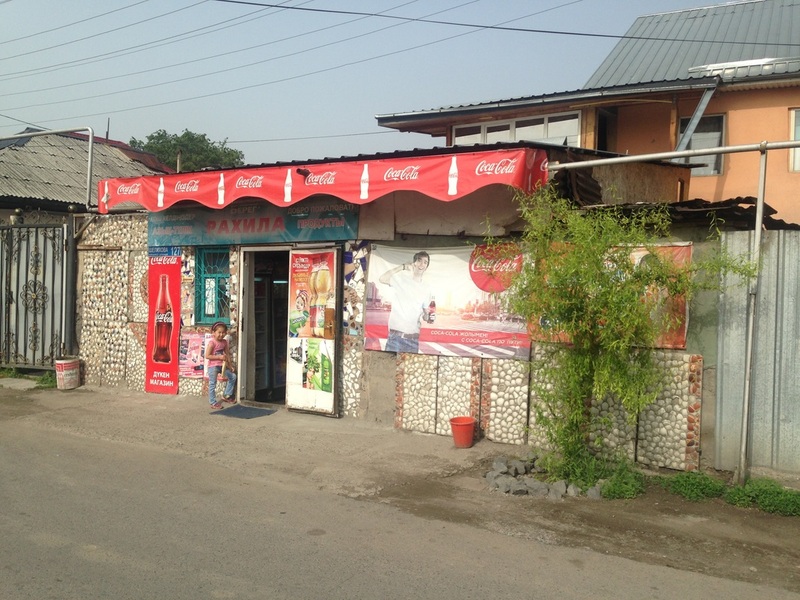 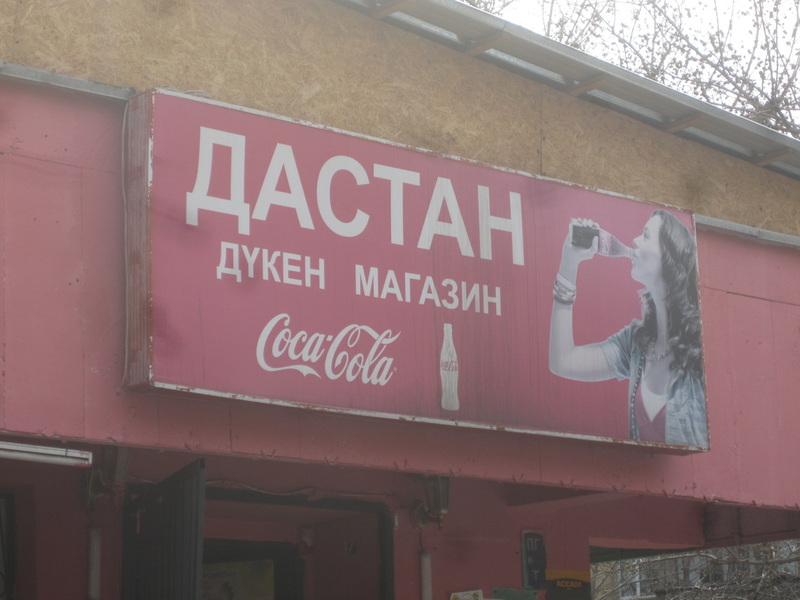 The simple convenience store [продуктовый магазин; produktovy magazin] is never more than a few blocks away in Almaty, whether you are in the neighborhoods of mass housing or the neighborhoods of private homes. In these private residential regions especially, the convenience store is the only real commercial enterprise, and it becomes a hub of neighborly visits. 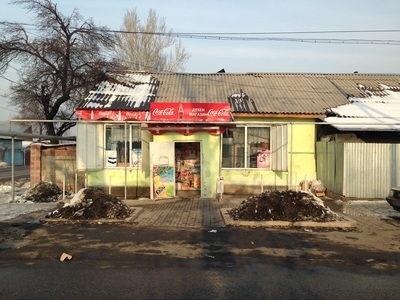 The inventory is limited and almost exactly consistent from store-to-store: cigarettes, alcohol, juice and sodas and energy drinks, bread, snacks, and some cleaning supplies. 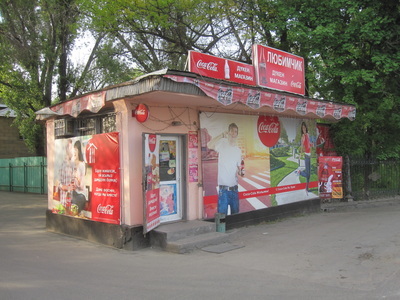 Many stores have fried pastries or packaged lunches, made on site or distributed by caterers. 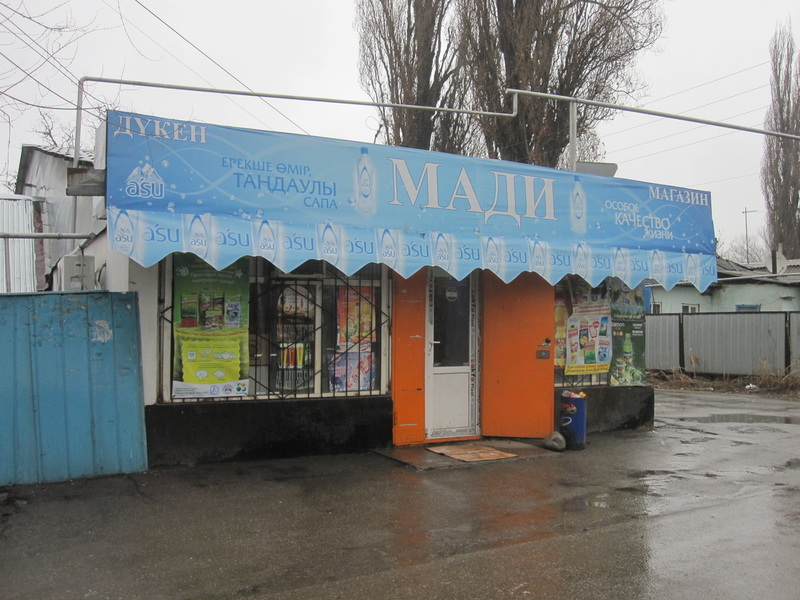 What I find most amusing about convenience stores is their eclectic appearance. 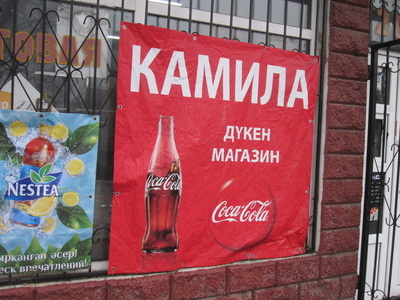 Advertisements and promotions will be taped up in the windows of any store, and the store sign itself, more often that not, has been brought to you by Coca-Cola. 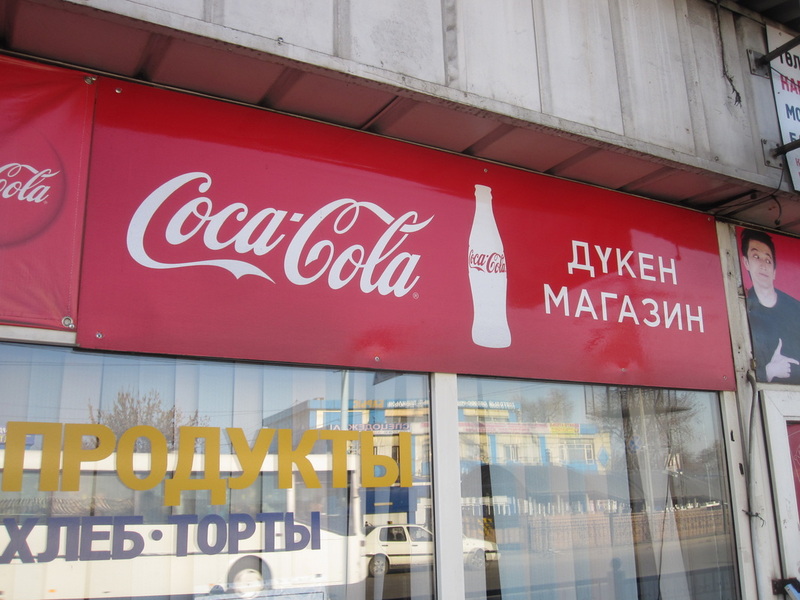 The commercial facade has become prime real estate for (mostly international) brands, and I suspect that stores must make a decent amount of supplementary income from these sponsorships. After all, shop owners care little for the value of their brand when they've monopolized their block, so it isn't much of a sacrifice to forego your custom-designed logo for the same old Coke placard. 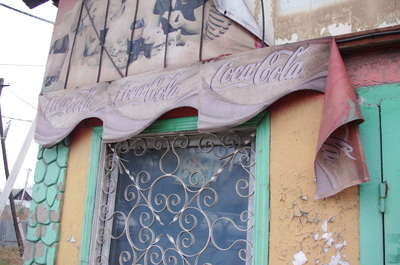 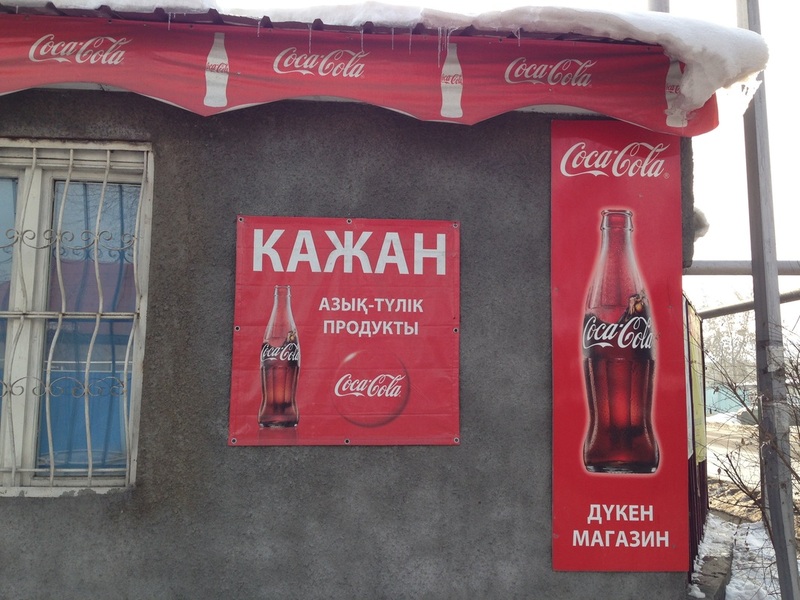 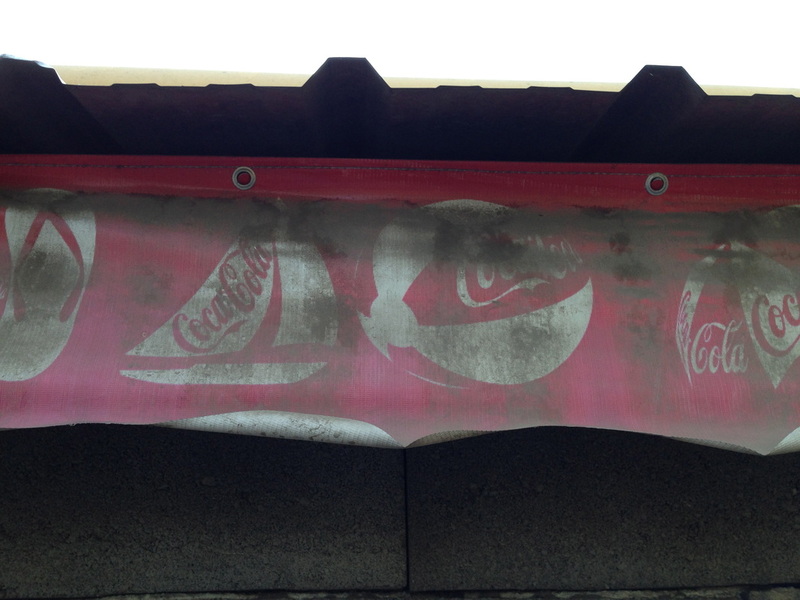 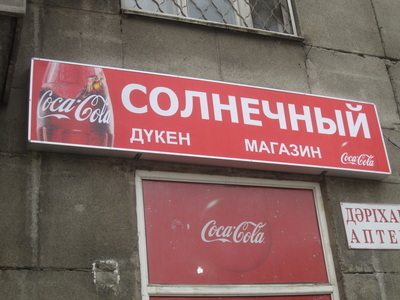 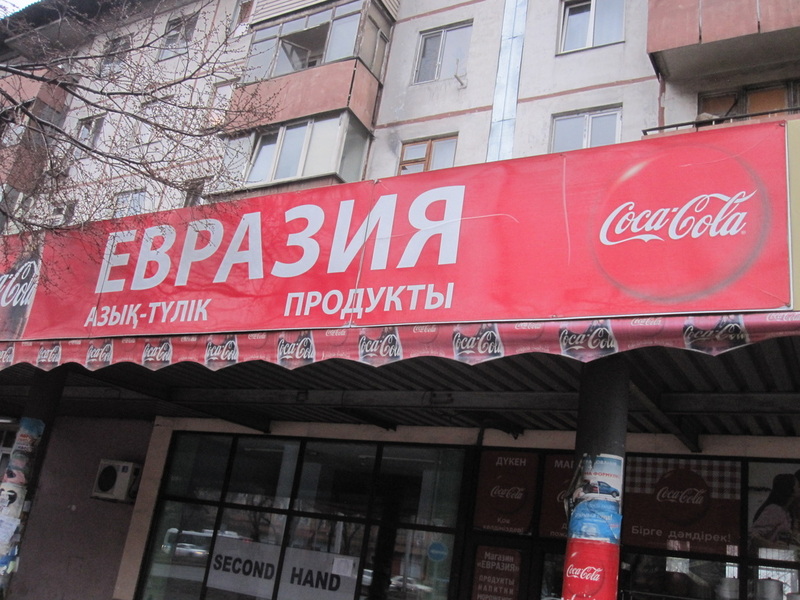 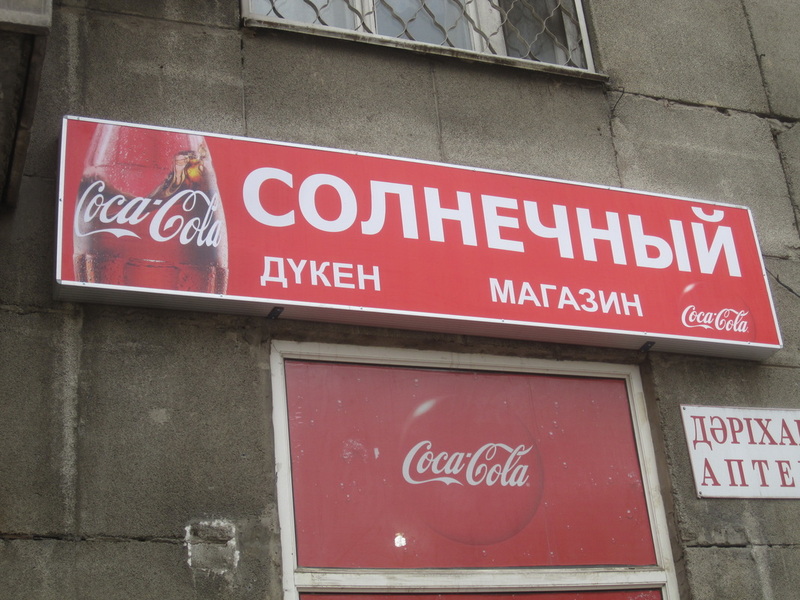 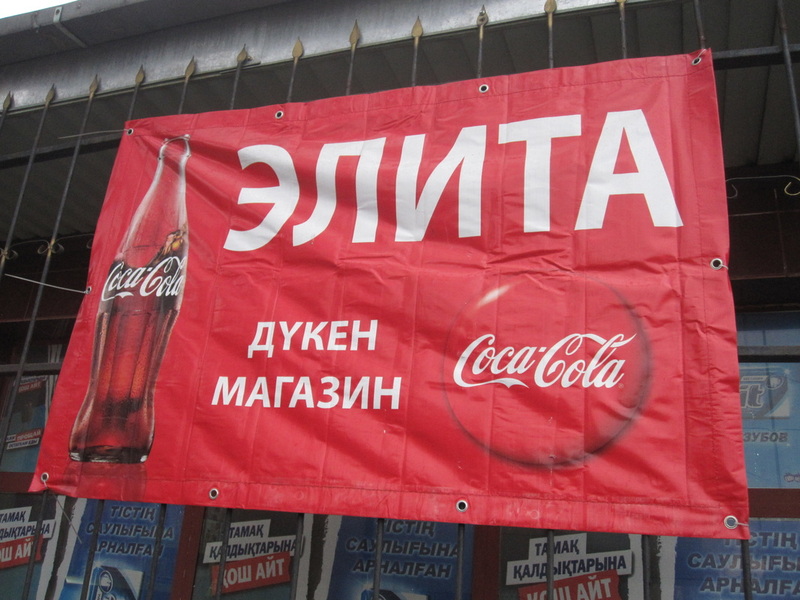 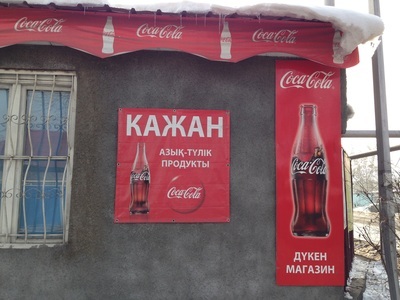 If you're not ready to go full-Coke on the sign, you can still order some Coca-Cola banners to hang from your eaves. 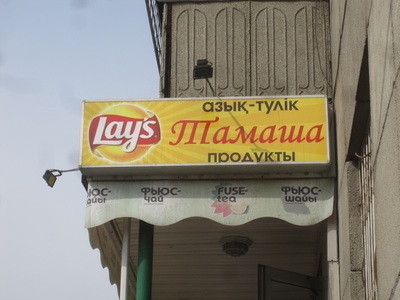 Those are a big hit too.